Does anyone know who the real enemy is? How much action is too much? Which lines have been crossed? Ryan and his "dark side", a shadowy field officer known only as Mr. Clark, are charged with finding out. They expect danger from without... but the danger from within may be the greatest of all. The story keeps you guessing and is brilliantly written. 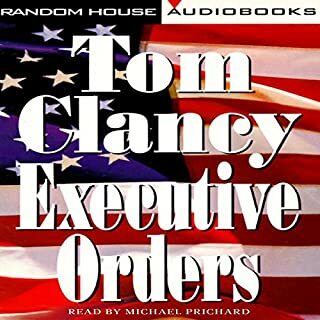 The narrator’s voice fits with the genre and navigates the story well. I was surprised to find that the movie does the book justice! Great story. Jack Ryan saves the day! The story is constructed on several different layers and by itself needs a lot of concentration. Cut over between mini chapters are hard to recognize as the narrator speaks in a very boring tone. I had to rewind very often to catch the change of scenes. When reading a book you have a visible break whereas in an audiobook the narrator should ensure this. 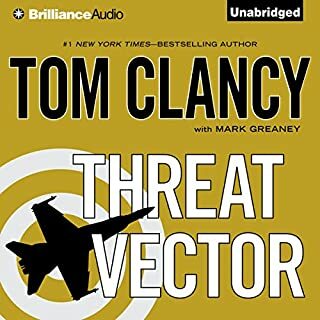 Preface: I have been a fan of Tom Clancy novels long before I started audiobooks. I love the jargon, the level of detail, the technology described so completely. I like the military, political and even the personal intrigue. Also, as you might guess from the review headline, I think Jack Ryan makes a great hero character. 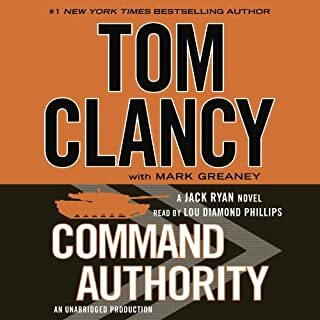 This is a fine story about America's attempt to use a covert military operation to stem the drug trade from Columbia, an action sanctioned by the president during an election year. The political infighting is fascinating - a study in personal gain, leverage, and back-stabbing. The operation itself is described with an enormous amount of detail, from the planning, supplies, strategy, tactics, and of course, weapons. Great stuff, if you're into it. The narrator, Michael Prichard, was competent, but undistinguished. Many of his "voices" sound very similar, and at times it's difficult to keep track of which character is speaking, especially in a 3-way "conversation". Still, he is easy to understand and his pacing and pronunciation were very good. Still he's not as good as some other narrators. 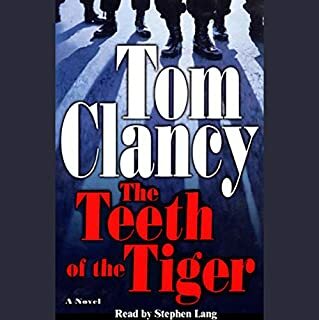 I've enjoyed reading the Ryan series by Clancy. 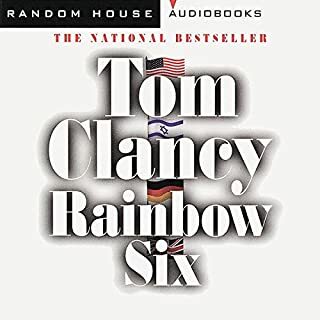 I'm listening now to most of the books. 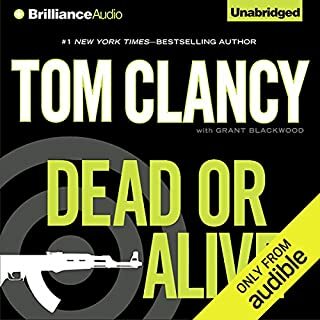 I have listened to Michael Prichard's narrations before and thought well of them. I don't know why it didn't go well in this instance. The narration did not carry the intensity of the novel well. He's done far better and hopefully this is just a fluke. Perhaps the story doesn't lend itself to a single narrator. Regardless of the why it simply didn't gel. Michael prichard doesn't or can't change the voices for the different characters. this makes it hard to follow who's who and what is going on. the story itself is great though. I can't put my finger on why this story seems to start slow. The narration at the beginning did not grab, but by the end the narration was more on point. The story started slow, but I was determined to continue. I can remember reading the Girl With The Dragon Tattoo and almost stopped listening because of the minutiae at the start; and if I had stopped, I would not had the pleasure of that great masterpiece. In about the 2 hour mark, the story did get more intriguing and the character development of Mr. Clark and Chavez started to take shape. 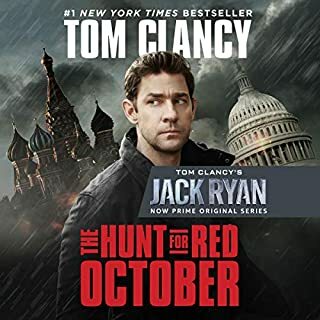 Jack Ryan is not the main character in this book and his role is more Inspector Clouseau than Jack Ryan. 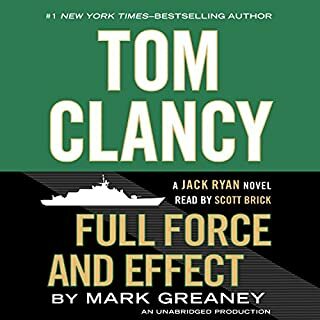 I decided to start the Jack Ryan series from the start and listen to them in order. As an Audible member since 2001, I had purchased a few of the books early in the series that were abridged, and found the stories disjointed. 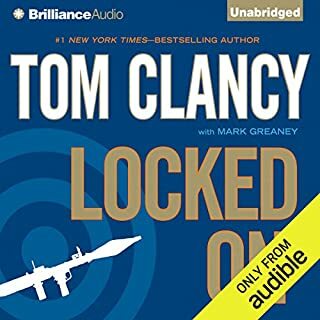 So I had stopped listening to Clancy. I have since upgraded all books to unabridged and what a difference it makes to the stories. 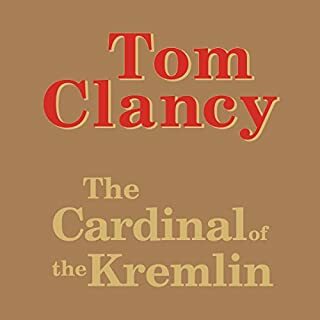 Tom Clancy does it again. The book kept my attention throughout and was hard to put down. Michael Prichard does a great job on this reproduction of the book. Unlike the other reading by J. Charles, Prichard is easy to understand and reads at an understandable rate. I can only hope that he narrates some of the other books. Sitting on th the Edge of your seat! Would you listen to Clear and Present Danger again? Why? Yes and the reason is, it is so detailed there are so many things you can miss the first time through. 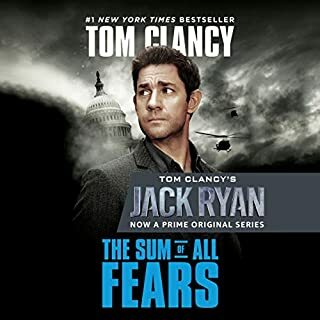 In the Jack Ryan series I always likeJack Ryan, but I also liked Mr.Clark and Mr. Chavez. the parts they play are very intense. Yes, Much the same. 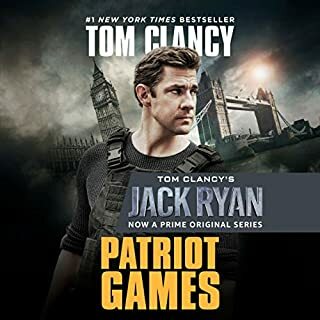 He is a very fitting narrator for the Jack Ryan series. When the helicopter landed on the small boat out in the middle of the ocean during the hurricane to bring the surviving men to safety. 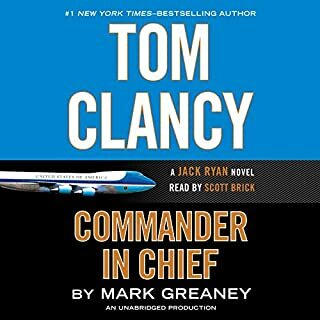 I always enjoy the Tom Clancy books and especially the Jack Ryan series. I just really enjoy his personality. one of Clancy's top stories, well spoken. Great but not 5 stars. Yes. It set up and covered alot of really ugly issues. I love the intricate chess game. Tie between Clarke and Cortez. Both were hyper intelligent and thought quickly and effectively when things were going crazy. Both were professional and true to what they were. Yes i have. About the same. Hes terrible for voices, especially women and or accents. But he can narrate and convey a mood like no other. 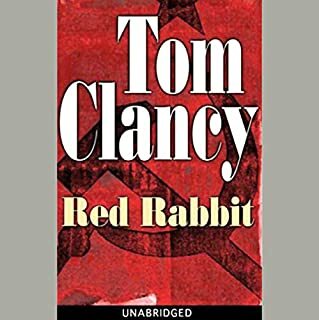 Another fantastic character driven plot by Clancy. This one didn't feel quite as intimate as some others but the story had a very cause and effect / domino sort of feel to it. The writing does a very good job of convincing you that the situation is dire and ugly. It gives you an intimate picture of what something is. It never felt like the author just said "because is said so". 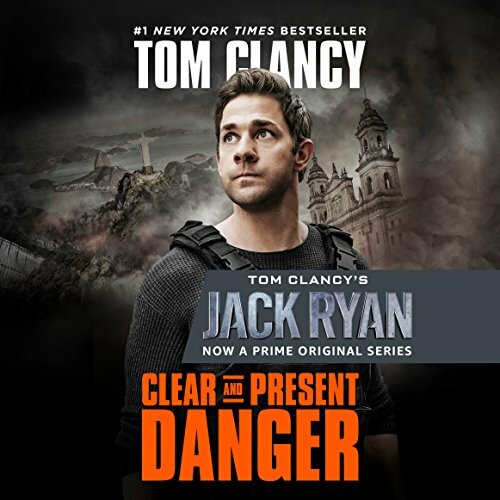 Where does Clear and Present Danger rank among all the audiobooks you’ve listened to so far? 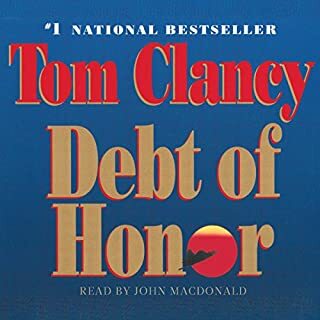 This is not only one of the best audio books, It is one of Tom Clancy's Best. 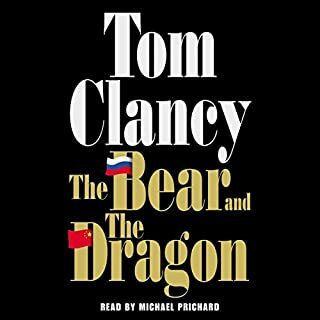 I have read this book and now have listened to it many many many years after I read it and Michael Prichard really did a nice job with this one. Mr.Clark walking right up to the truck and taking matters into his own hands to help out members of his team. 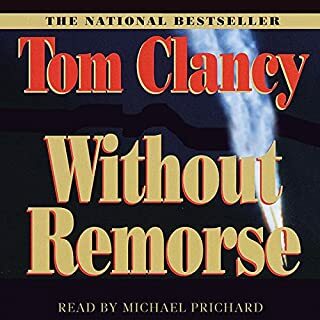 Tom Clancy's Ryan series is one of the best series ever created.